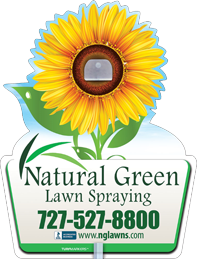 Located in St. Petersburg, Florida Natural Green Lawn Spraying provides professional care and treatment for lawns in Pinellas County. We hire only the best trained professionals who are knowledgeable in various pests and diseases that attack lawns and vegetation in this region. Providing exceptional lawn care service is more than just a job to us. We care about our customers, their lawns and the environment. That is why we go a step further to use natural products that are safe and effective. We want you to enjoy spending time outside on your lovely lawn with no worries about you, your kids or your pets. You never have to worry about your lawn when you hire Natural Green Lawn Spraying to provide ongoing care. 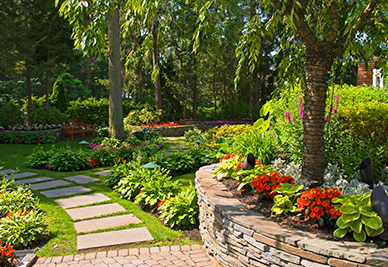 We take our job seriously to ensure that you are proud of how your landscaping looks. Providing outstanding customer service to ensure your complete satisfaction is our focus. We take pride in our work, so you can have pride in your lawn. Contact us at (727) 527-8800 if you need quality professional lawn care in Pinellas County.